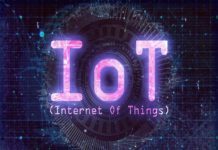 I have been mentoring lots of start-ups and some established companies in the Internet of Things (IoT) area and one thing that emerges is that a good idea need not be a good product. About 85 per cent of the products have failed to scale or failed in the field. The common thread I observed was the products have failed due to bad or insufficient ‘engineering’. At this stage, you may ask me if you are mentoring why they fail. The trouble is most entrepreneurs suffer from NIH Syndrome (Not Invented Here). They realise their folly when the initial failure stares at them. The price you pay when the initial stuff fails is loss of reputation and money. Having spent some good time in my career and designed successful products, I see a structured approach is essential. For a product that is developed completely from the bottom, I developed a framework called DEFINE, which will help designers to design a robust product. But what happens when a designer has a prototype that needs to be scaled and deployed in the field? Based on my experience I have developed a simple framework called ‘SPICE’. This framework will help the designers to design a robust and reliable product. The acronym SPICE stands for Supply-chain, Power-supply, Interface, Communication, Enclosure. While detailed discussion is not possible here, I will briefly explain each of these five components for clarity. Power-supply: Often neglected item is the power supply. Most designers worry about the supply voltage they need to operate the circuit and least worried about the AC mains from which the power supply works. Most failures are due to bad AC voltage or unexpected surges. Recently, I had the experience of one customer asking for our PSU to work at 430 VAC and refused to accept anything less than this. This becomes complicated when you deal with 3-phase supply. It is easy to deal with Star connected 3-phase but in places like ships where there is no concept of Ground and you will have only 430 VAC in delta format becomes complicated to handle. So, spending good time in power supply design/selection is key for success. Interface: Most of the designers worry about interface to their system and how they will be connected to other systems, only in the end. Unless care is given up-front to this, product is bound to fail. Key aspects that they have to worry are type of connectors, their life, environment requirement, types of cables and their termination methods etc. One thing I find is that they use the same connector that they know (mostly the victim of a D25 one) and that leads to failure as every application needs special connectors. Communication: One worry that I have started getting is the complete lack of networking knowledge of the designers when they design products. In the case of IoT ‘Things’, the memory available in the controllers are less and, in most cases, there is no scope of having a full-fledged network stack. For a proof of concept (PoC), a proprietary communication mechanism is fine but for a robust product and interoperability, structured communication is essential. Today, we get good network stacks with low footprint, but most designers tend to ignore. This leads to a problem when the IoT solution has to be scaled! Enclosure: One of the most neglected aspects of IoT design is the enclosure for the product that too for the ‘Things’. As we all know, most ‘Things’ are installed in harsh environment and product just doesn’t have anything that makes it work in such an environment. Most ‘Things’ designs use RF for communication and a bad enclosure design will lead to substandard performance. Enclosure design deals with ‘Things’ which are orthogonal. For example, items like water ingress and fan for cooling, rugged metal enclosure and vandal proof and RF mode of communication. Most of the times designers overlook in the beginning and end up in a destroyed product, due to vagaries of nature. Proper design in the start would have helped.